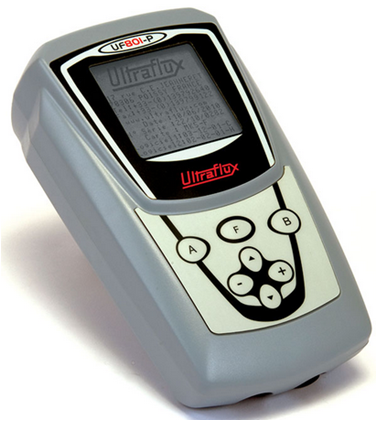 We deal with ULTRAFLUX brand clamp-on type transit time based ultrasonic flowmeters. These are high accuracy flowmeters and available for measurement of liquid and gas in pipe diameters 10 mm – 10000mm. The flowmeters are available in portable, fixed type and also in ATEX versions. 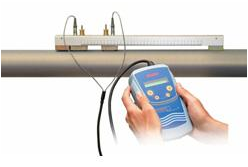 The portable CLAMP-ON TYPE ultrasonic flow meter enables you to carry out your maintenance operations with ease. A genuine in-the-field device, the external probes and high degree of autonomy of the UF 801 P make it the perfect portable flow meter for your diagnostics and controls. It is also easy and fast to install and configure. User-friendly and ergonomic. Probes are available for 10mm dia. to 10,000mm of almost any pipe material. 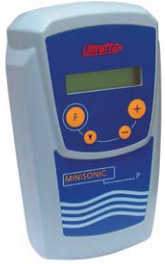 The Ultraflux Minisonic P is an affordable portable flow meter measures the flow speed of a fluid by ultrasonic pulse transit time difference. This field device is used to measure the flow of waters of different qualities, various petroleum products and fluids resulting from processes in the agrifood or chemical industries. Using effective and noise protected digital signal processing, this portable flow meter offers unequalled measurement capability by adapting to the conditions of each site.